Sat, February 16, 2019 1:00 P.M.
From 1:00-5:00, join your neighbors for an afternoon of programs for adults, as well as children, themed around the Rare Book Department’s fascinating special exhibition, Philadelphia: The Changing City. 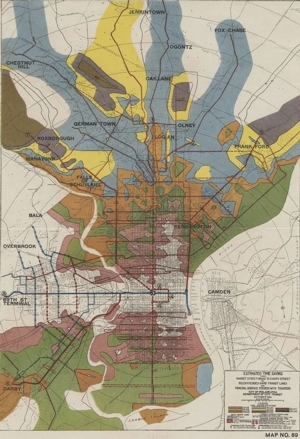 Images of the city drawn from 300 years of prints, photographs, documents, and maps reveal the planned and unplanned changes that have affected Philadelphia's landscape, its buildings, and its inhabitants. Also on view will be the exhibition At These Crossroads: The Legacies of Frederick Douglass and W.E.B. Du Bois. Philadelphia: The Changing City Events Day is free and open to all! The day is drop-in, so stay for as long or as little as you'd like. Book clubs, Free Library Friends groups, and other community groups who are traveling together are invited to request round-trip SEPTA reimbursement! See the sign-up site for more details.